The Tigers' season has morphed into a collection of heartbreaking defeats, which suggest they somehow, some way find a way to lose. It hasn't really been true. Despite Saturday's 5-4 loss to the San Francisco Giants, the Tigers have played above .500 baseball so far in August and September (19-18). They have not become the mounting disaster that is the Oakland Athletics. While they haven't exactly surged, they haven't collapsed, either. 1. The Tigers' losses have been so individually painful they have not been nearly been negated by their wins, which have often been ugly in regard to style. The latest example of the losses was Saturday. You'd think if the Tigers would get 10 hits off one of the top left-handers in MLB, the Giants' superb Madison Bumgarner, they'd be in terrific shape. That'd be especially true with David Price on the mound. Add in the fact, Miguel Cabrera hit two home runs, and Victor Martinez his 30th homer of the year, and you'd think the Tigers would win.Yet, somehow they lost. It was a terrible fate in a bounce-back attempt following Rick Porcello's disappointing outing in the defeat to the Giants Friday. 2, The Royals have been exceptionally hot. 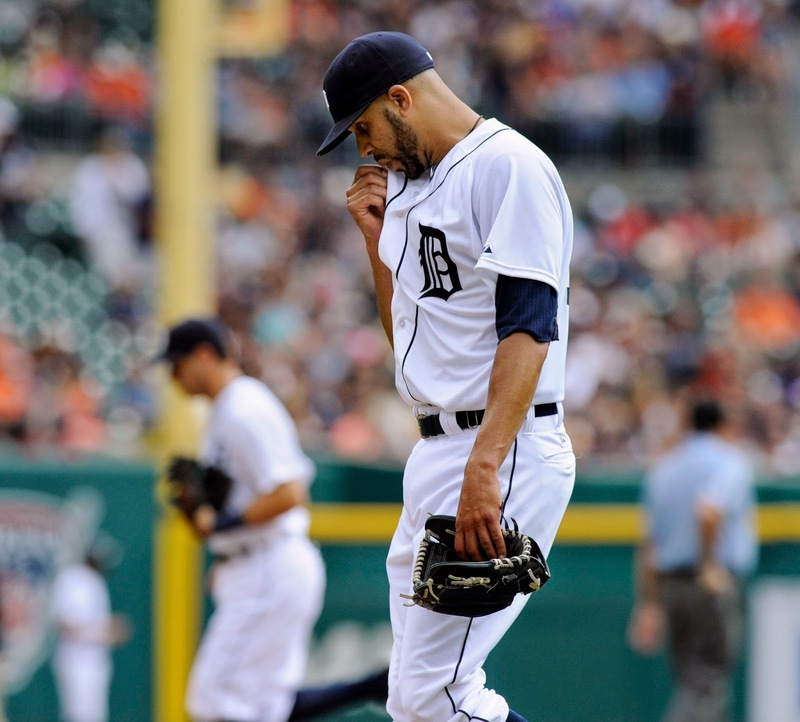 The Tigers haven't collapsed as much as the Royals, who visit Comerica Park this week, are taking it away from them. Yet, it's not like the Tigers have been standing up to the challenge, at least not yet. ﻿﻿﻿﻿"We have another chance to win tomorrow," Tigers manager Brad Ausmus said. "This race is far from over. "What you see as danger, we see as opportunity." Yeah. There is still a lot of baseball left to be played for the Tigers. But eventually these goofy-type of losses will catch up to them. Especially if they continue next week when the Royals visit Comerica Park.